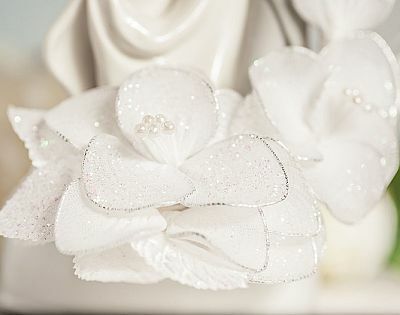 This beautiful cake topper features a vintage flower arch covered in glitter accented with faux pearls flowing over an elegant dancing wedding couple. 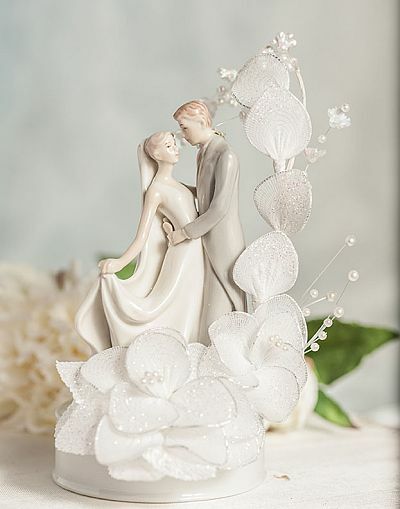 The base is made of fine porcelain. Hand painted.